"The more love you show him, the more expressive he will be. Your child will absolutely love this sweet puppy." Best Overall: L.O.L. Surprise Bigger Surprise! If you want to get the biggest and best gift this holiday season the L.O.L. Surprise Biggers Surprise! is the thing to have. Surprise toys have become a major hit amongst the children 5-years-old and up and this set does not disappoint. 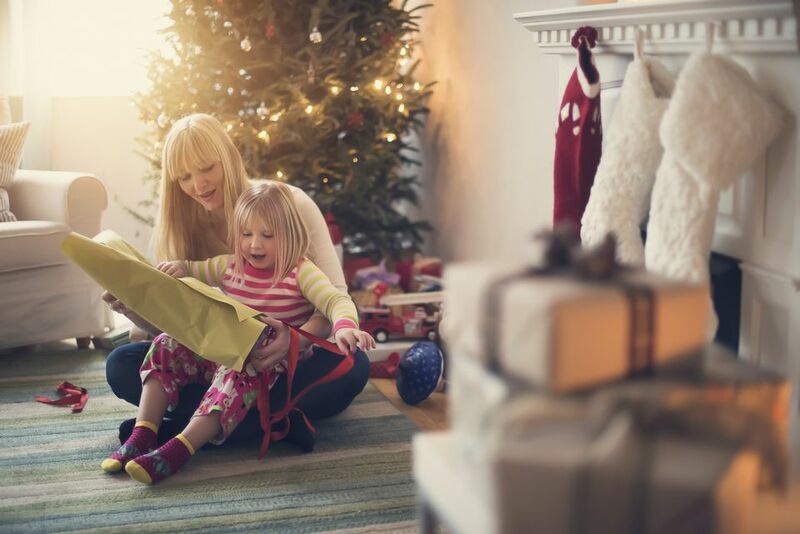 Often you buy these gifts in single or smaller sized packages, but this one comes with over 60+ surprise that they'll unwrap—plus many of them are limited of time options. Harry Potter and Lego fans will flip for this Lego kit that lets them construct Hogwarts great hall. From the moving spiral staircase to the potions room and beyond, they can build it all. Once the building is done, playing with it is just as much fun. Ten mini figures come with the set including, Harry Potter, Ron Weasley, Hermione Granger, Draco Malfoy, Susan Bones, Professor McGonagall, Professor Quirrell with dual Lord Voldemort face, Hagrid, Albus Dumbledore and nearly headless Nick. Kids can recreate scenes from the movies or embark on all sorts of new magical adventures they create on their own. Recommended for ages 9 to 14, there are 878 pieces in all. They can be combined with other Lego sets too for even more magic. Customers say the details in this set are incredible, and that wizard wannabes go crazy for it. Check out our guide to the best lego sets you can buy today. Elmo is no stranger to hot holiday toys. This year's new addition will get your 18+ month-old moving and grooving with Elmo as they work on their gross motor skills. This exciting toy has three musical modes: colors, animals, and songs. When you change modes, Elmo's heart changes color and he wiggles and dances to the music. And because every kid (and let's face it parent!) loves Elmo he will be a welcome addition to your Christmas morning. Believe it or not, Barbie DreamHouse's are still a thing. This modern version of a classic holiday toy measure 3' tall and over 4' wide so it is massive! Barbie can get up to her bedroom using the elevator or perhaps its time to do work in her home office. Whatever your child imagines Barbie can do we know they'll be playing with this for years to come. And of course, mom and dad will get in on the Barbie fun too. This toy is already a huge hit so if you want it you better act fast. It is basically your own personal robot that can sneak up on people and project your voice in different settings to send a message, pick up lightweight objects (think your phone) and bring it to you, he can even sneak up on conversations and you can listen to what people are saying. This robot is sure to be the recipient's new best friend. Just be warned that you might be being watched now. This Echo Dot Kids Edition offers all the awesome abilities of the adult Echo Dot, but it comes with features and safeguards that make it just right for kids. For starters, it comes in a variety of great, vibrant colors, so it’s got a cool factor, and it will keep them entertained for hours by playing music, answering questions and telling stories and jokes aplenty. It gives them access to more than 300 Audible books, like Beauty and the Beast and Peter Pan, and there’s a ton of educational content available too. It also comes with a one-year FreeTime Unlimited subscription, which sets limits, so you don’t have to worry about kids wading into adult waters either. For example, it won’t answer questions such as where babies come from or any other hot topic questions. It tells them to ask an adult instead. It also won’t play songs with naughty words, and it reinforces good manners by thanking them for using words like “please.” There are also parental controls so you can set time limits, see what they’re up to or even pause the device. It comes with a two-year warranty too, so if they somehow break it, you can get a new one at no cost. One of last year's hottest toys is back with a new version—a unicorn! The Fingerling monkeys have been a runaway hit, so little ones will flip at the chance to add a unicorn to their collection of these cute little finger-hugging pets. Her name is Gigi, and she’s fancy, with a rainbow mane and tail, and she’s full of surprises. She responds to noise, motion, and touch, and she’ll do everything from blowing you a kiss to turning her head. Turn her upside down for even more antics. When downtime comes around, you can pet her to sleep. Parents say Gigi is adorable and kids go gaga for her. Bonus: The batteries she runs on are included. If last year is any indication of how popular this toy will be, we recommend you buy this now before they all sell out. For a roarin’ good time, this furReal dino dubbed Munchin’ Rex is ready to go. He comes with a bottle, broccoli treat, and caveman cookie, and when he’s offered them he reacts with one of 35 sound and motion combinations. He may beg for his bottle, chomp on the cookie or declare that broccoli “yucky.” You’re never quite sure what he’ll do, but it’s sure to be a fun time playing with him and finding out. He’s also soft and snuggleable, so he’s a great friend to always have around whether it’s playtime or naptime. Rex runs on four AA batteries (only demo batteries are included), and there’s an off/on button when it’s time to turn off the action. Animal lovers will be head-over-heels for Scruff-a-Luv, an abandoned puppy that needs love and attention. This is also a gift that's contributing to a good cause—when you adopt a Scruff-a-Luv pet, part of your purchase will be going to the ASPCA to help prevent cruelty to animals. When you first unbox your Scruff-a-Luv, they’re curled up in a matted ball of fur. It’s up to you to give them a nice bath to wash their matted fur—any child-friendly soap or body wash will work. Once they are washed, squeeze the water from their fur and towel dry them. You can also use a hair dryer to fluff up their coat, just like a pet salon would! Similar to a real rescue animal, the more love you give them, the more loving they will be in return. Watch as Scruff-a-Luv comes back to life with love and affection! When you buy a Scruff-a-Luv, you also get a grooming brush, collar, name tag, and adoption certificate. Recommended for ages 5 and up. Active youngsters will love this interactive ride-on toy that helps them develop both fine and gross motor skills. With 17 interactive features including a horn, sliding beads, moving windshield, and adjustable dashboard, there's plenty of fun to go around. Watch as they learn to adjust the reflective mirror and turn the wheel while they cruise around the house. The Busy Buggy has four wheels plus a “spare” wheel on the back that makes a noise when pushed. There’s also extra storage under the seat so they can bring their favorite toy along for the ride! Recommended for tots ages 1 to 3. The weight capacity is 42 pounds. If you know a kiddo who is obsessed with Jurassic World, this ferocious Jurassic World Jurassic Rex toy is a great option. Kids can control the dinosaur with the handle on her back, so they can push her forward to lunge at other dinosaurs. The realistic mouth opens and closes, and her eyes change color (from green to red) to let you know when Rex has entered into predator mode. The mouth also glows red when she’s enraged. This toy includes Jurassic Rex, Owen’s vehicle, Owen figure, two projectiles, launcher, and holder base. Perfect for children ages 3 to 8 years old. If you have a curious mind in your home, allow them to explore the wonders of science with this hands-on science lab. It’s designed for preschoolers who are just starting to explore the world around them, so everything is perfectly suited for small hands and curious minds. It will also introduce your little one to STEM concepts (the acronym stands for science, technology, engineering, and mathematics). Help your little scientist complete a circuit and watch their face when they successfully activate the light. Then use household ingredients to conduct fun experiments in the “lab.” With over 40 sounds and phrases, this interactive and educational lab toy will ignite their passion for science and encourage a life-long love of learning that will only continue to blossom when they enter school. Recommended for children from 24 months to 5 years. This set includes 20 lab accessories including test tubes, stirring spoons, eyedropper, and lab goggles. There's nothing better than a surprise on Christmas, so give your child a giant surprise this year with Ryan’s World Giant Mystery Egg. Based on Ryan ToysReview (a popular kids Youtube channel), your child can now feel the excitement of unwrapping something with a hidden surprise inside. Will there be a limited edition figure inside? Or will you be surprised with squishy slime? No two eggs are the same, so if you are buying for multiple children they will love mixing and matching the surprises they find inside. Inside the egg there's a variety of kid-friendly surprises including limited edition figures, squishy slime, and a lights and sounds vehicle. The plastic egg is easy for kids to open by themselves, and no assembly is required. Ideal for ages 3 and up. What kid doesn’t want to hunt for buried treasure? With this unique toy kids will be able to use a treasure map to discover gold-dipped treasure. They can use the X-Cavator (a tool that's included in the set) to dig up and collect up to 24 Treasure Hunter action figures and up to 32 individual pieces of treasure. Along the way you might find a mysterious treasure chest or the bones and weapons of Treasure Hunters who have come before you. With 10 different levels of adventure, it will keep kids entertained for hours. As there are many small parts in this adventure pack, it’s recommended for ages 5 and up. Give them the gift of a new best friend this Christmas! If your little one has always dreamed of a puppy of their own, this realistic and affectionate puppy will be the perfect gift for them. Rollie is covered in soft fur and has over 35 expressive sounds, from barking to snoring. Rub his nose and watch as he sniffs and licks—just like the real thing! The more love you show him, the more expressive he will be. Your child will absolutely love this sweet puppy. Rollie comes with a collar, dog tag, and an adoption certificate that can be filled in and personalized. It does require batteries, which are not included. Recommended for children over 3 years old. While there are other stuffed animals on this list, this is the only stuffed animal that has sequins. Kiddos can choose from 10 different animals, including a bear, owl, lamb, dog, or unicorn. Each critter is decked out with shimmery, reversible sequins that can change color with the wave of a hand. They can even create fun patterns in the sequins with their fingers! Shimmeez animals come in two different sizes: a small size that measures 9” x 3” x 8.5” and a larger size that measures 14.5” x 5.5” x 14”. Both sizes are perfect for playing and will look fantastic on display in your child’s bedroom. Great for ages 3 and up. Looking for a gift for a busy toddler? The Hape Pound & Tap Bench with Slide Out Xylophone will get little bodies moving all while building concentration skills, manual dexterity, motor skills and focus. The classic all-wood toy is built to last and has a compact design for easy storage when playtime is over. This interactive, brightly colored toy stimulates development through fun play and musical exploration. Budding musicians can slide the xylophone out and take it on the go with the carry handle or they can keep it in the bench to hear the sounds made when they tap the wooden balls through the holes with the included hammer. Countless ways to play will keep little ones busy as they pop, ding-a-ling, hammer and roll their way to sensory excitement. Recommended for tots ages 12 months to 3 years. Want to take a look at some other options? See our guide to the best toddler toys. It’s party time with this Pop Teenies playset. It comes with everything these tiny little dolls need to have a rockin' good time. There’s a DJ booth, dance floor, photo booth, working elevator, pop-up cake centerpiece and oh so much more. It comes with one doll too, but here’s the fun twist—you don’t know which one you get until you pull, twist and pop the popper she’s in to find out who the mystery guest will be. The surprises don’t stop there though, there are also three gifts to unwrap. Who knows where they’ll take this party crowd. Designed for kids ages 4 and up, it’s a fun toy to pull out for parties, playdates and anytime they just want to have some fun. Cozmo by Anki Robotics is one sophisticated little bot. While he may come with a bit of a steep price tag there’s a whole lot of advanced robotics in a little package. Cozmo (age 8 and up) is easy to use and can be set up in four simple steps. He comes with three blocks that Cozmo and kids can play games with. Download the app and kids (and adults) can interact with countless games, Cozmo controls, camera and more. He has so much personality that one forgets that they are playing with a robot as he starts to feel more like a super fun pet. He expresses happiness, excitement, frustration, anger and sadness through two very emotive blue eyes and various noises. Cozmo has facial recognition that allows him to recognize and say the name of all his friends. This is only a small portion of all the cool things Cozmo is capable of doing. He is a lot of brain in a little—and adorable—package. Check out our guide to the best robot toys you can buy today. Creativity meets chemistry in this science set from Crayola. It allows kids to conduct 50 super cool scientific experiments at home. From building an exploding volcano to creating glow worms, rubber goo, and colorful quicksand, they will be amazed at the cool things they can create. All the while, they’ll be learning important, hands-on science lessons. Recommended for ages 7 and up, adult supervision is recommended. Parents say kids love it, the instructions are clear and easy to follow, and it’s a fun activity for the whole family. While the kit only includes the complete materials for 16 of the experiments and you have to purchase a few additional supplies for the rest of them, parents say it’s still a great value for all the hours of educational entertainment this kit provides. Want to take a look at some other options? See our guide to the best STEM toys. Quadcopters and drones have been making the wish lists of kids for several years now, but they can tend to be pricey. So when you can find one with excellent reviews, some cool features and good price tag — then it’s a win. And the Holy Stone Predator Quadcopter is just that: priced right with all the fun features kids are looking for in a drone. The Predator has three different speed modes that can be set at beginner, advanced and super fast for micro quad. Colorful LED lights illuminate the body for fun night flights and just a flick of the control switch can have the Predator roll and flip mid-flight for ultimate tricks. Complete with a few replacement parts in case of mishaps, a USB charging cord, Li-Ion battery and small screwdriver for repairs, this quadcopter is sure to make kids 14 and up very happy this holiday season. See more reviews of our favorite gifts for teens available for purchase. If your family has jumped onto the Pie Face bandwagon—why not try this alternate version that leaves the last person standing a winner. Even newbies will enjoy this messy good time that will have all family members pushing the button one at a time to see who gets creamed. As you take turns trying to accumulate points, you never when the pie-throwing arm will go off, and when it does… splat! The whipped cream flies right into the face of the player who’s in the ‘hot seat’. Don’t worry, there’s a splash guard mask to keep things from getting too wild, but oh what fun it is to see the whipped cream (sold separately) fly. For parents cringing at the thought of all that mess, there's also a sponge that can be used in place of whipped cream. Recommended for ages 5 and up, thousands of customers say it’s a great game for the whole family that leads to tons of hilarious fun. Read more reviews of the best family games available to purchase online. When learning is disguised as fun, everyone wins, which is why this Osmo Genius Kit is such a hit with kids and adults alike. It works with an iPad (iPad not included) and turns it into an amazing, interactive learning tool. From math and spelling to visual thinking and problem-solving skills, the games they can play with it teach them as they go. The kit comes with a base to hold the iPad as well as game pieces, word tiles and more to add variety to the games. Stackable storage containers are included too to keep everything organized. Designed for ages 5 to 12, the award-winning game has multiple levels, so it will keep kids challenged for years. Customers rave about Osmo, saying it’s a great way to get kids ready for school and to help them master skills as they advance through the grades. Kids just think it’s fun. Wondering Which Toys To Buy Your Kids? Here's a Breakdown by Age.